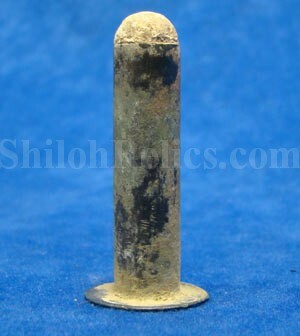 This is a very nice displaying dug scarce .37 caliber Civil War Maynard carbine cartridge. Referred to by collectors as the "Sporting” version of the Maynard many of these smaller caliber Maynards were used during the Civil War. 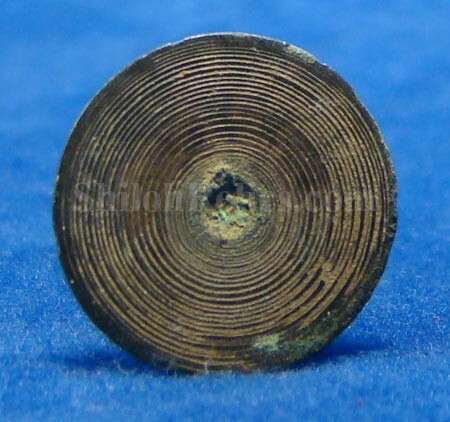 This is a rounded top variation of the pattern illustrated as figure #170 in the cartridge section of the bullet book by McKee & Mason. This is the classic style of cartridge that was so prized by the Civil War cavalrymen. 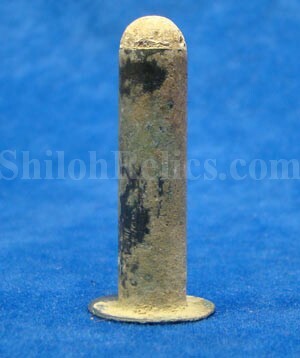 This one has a great non-excavated patina all over with a gray patina to the lead bullet. This is a nice cartridge for your collection.